The requirements for risk-based-thinking and the actions an organization shall address related to assessment of risks and opportunities in ISO 9001 2015 are a big change from the previous requirements in ISO 9001. 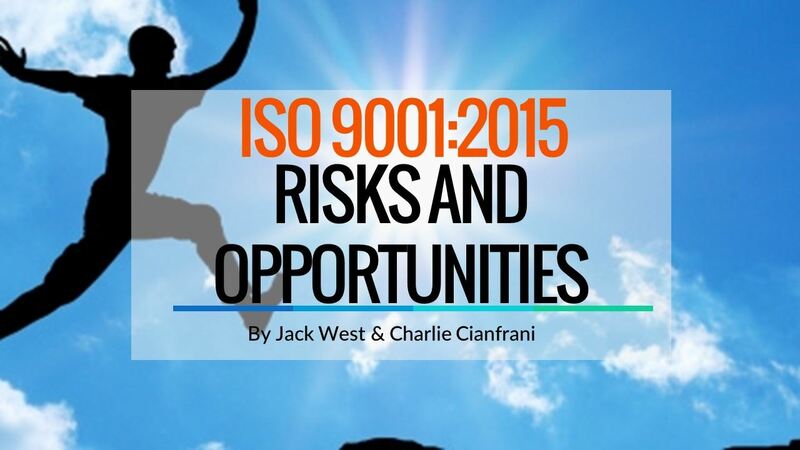 To ensure an understanding of both the content and intent of risk related requirements in ISO 9001 2015, AQI has developed a new webinar titled “Risks and Opportunities -- How to comply and add value without becoming unglued”. To acquire an understand the content and intent of the requirements you should avoid any training that is a thinly veiled “sales pitch” for consulting services. Our Webinar was developed by and is presented by Jack West and Charlie Cianfrani, both ASQ Fellows with executive level responsibility for quality management. It is an in-depth view of the requirements and is intended to help the participant to develop QMS requirements that will add value, resonate with organizational objectives and contribute to the journey of the organization to achieving and maintaining sustained success. This Webinar is directed at providing actionable information to participants who have a desire to do the right things for the right reasons – not to merely comply with ISO requirements (although this is important) but to go beyond mere compliance with requirements to implementing processes that truly add value and contribute to organizational success In meeting its objectives. If you desire to migrate from compliance to adding value, this Webinar will be useful and beneficial. Whether you have an established Quality Management System or are just getting started, this webinar will provide you with a comprehensive plan for managing change in their organization. This webinar is highly recommended for Quality Professionals, Quality Managers, and Operations Executives. 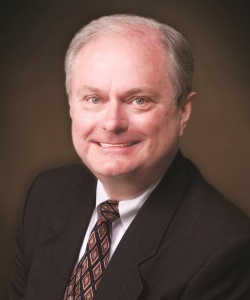 Charlie Cianfrani is an internationally recognized authority on quality management. He has held executive positions (Vice President-Operations, General Manager, Vice- President-Quality, Managing Director) in quality, manufacturing and general management in both private and public sector organizations. He is currently a US Expert Representative to the ISO committee that wrote ISO 9001:2008 and ISO 9004:2009 and directly participated in the writing those standards. Charlie has presented or published over 100 technical and management papers locally, nationally and internationally. He has 7 books published by ASQ Quality Press co-authored with Jack West including the best-selling ISO 9001:2008 Explained 3rd Edition. His latest book with Mr. West on Quality management, ISO 9001:2008 Explained and Expanded, was published by Quality Press in December 2013. After you register for a webinar, you will receive a confirmation e-mail containing a link to access the webinar.